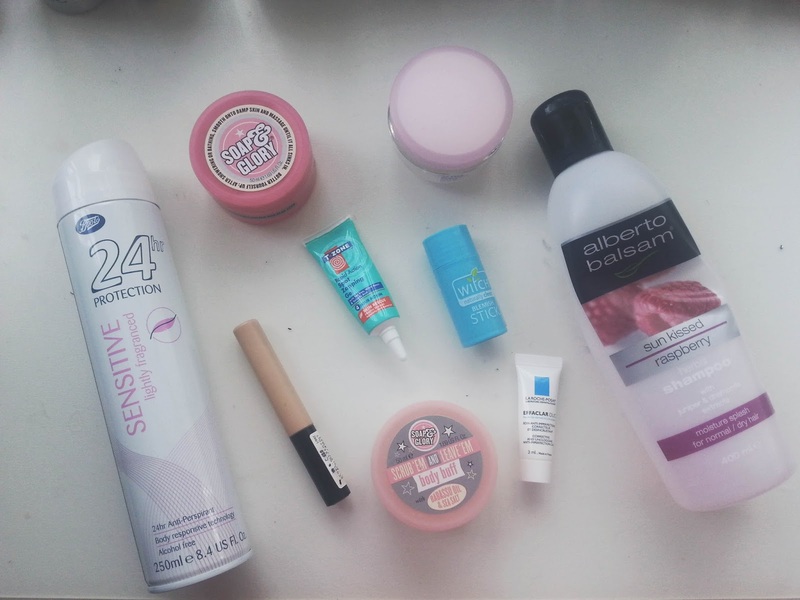 I seem to have never done a empties post on this blog, and If I did then I can't seem to find it..so I thought I would start doing them from now on. I don't use up a lot of products up very often, but I do try to get through some. These posts won't be monthly by any means as I don't seem to remember to keep empty products after I have finished with them! I find that these posts give you a little review about each product and whether or not you will be buying it again. Boots Deodorant // This was a impromptu purchase a while ago now, when I desperately needed some new deodorant I picked up the cheapest one I could find! Long story short, I ended up using it all the time and used it up, I am very sensitive to some deodorants and this was made for people like me who react to stuff! Collection Lasting Perfection Concealer // Well, its about time this finished! You can hardly see the packaging on this thing as it has all been rubbed off, I have been using this for months and treasuring every moment until it runs out and I think the time has come to go out and buy another one. I love this concealer and don't have a clue what I would do without it. Soap&Glory Scrub em and Leave em // This is a mini soap and glory scrub that I bought to try out and I loved using it every week as it left my skin feeling uber soft and thoroughly foliated. La Roche Posay Effaclar Duo Sample // I got this sample through the post a while back, and tried my best to use it in moderation to see if it works. And for me it really didn't! Maybe I need to use it for a little longer or something, so I tried my best to use it up quickly! Alberto Balsam Shampoo // This was my previous favourite shampoo that I loved to death, but I found that when I had come to finishing it that it wasn't the best for my hair! It made it very greasy very quickly and I had to constantly wash my hair again and again. Witch Anti Blemish Stick // Ahhh! I am crying over the fact that this blemish stick has finished. I bought it out of the blue to try it out and I cannot believe that I have fallen in love with it, whenever I had a spot that was coming out I used this to help with the breakout and boy did it help me loads! T-Zone Rapid Action Gel // Another blemish breakout treatment that I started to use when the witch stick eventually ran out. This is a very thick and watery gel that you spread on your breakout area and it helps with spots within 4 hours. I found it best to apply this at night and when I woke up I saw such a difference it was amazing and I will be re purchasing some products from this range. Nivea Express Primer // I love this primer for my skin, there will be a review coming soon as I have just recently bought another one which I showed in a haul last week. This primer is something I use everyday with my moisturiser sometimes and sometimes without. I have to use this under my makeup everyday and it helps so much with the longevity of my makeup and I cannot live without it. Soap&Glory Righteous Butter // Another soap and glory product that I have fallen in love with and used up far too quickly. This is one of their many body butters that I wanted to try before buying and I am very glad I did as it has helped through the winter months with all my dry skin and especially on the elbows. That is that for my first ever empties post, hope you enjoyed! So glad I found someone who shares my love for The Righteous Butter. Also how long does the Concealer last?